In July 1967, a police raid of an unlicensed bar on the west side of Detroit eventually spiraled into a riot that resulted in 43 deaths, 1,189 injuries, more than 7,200 arrests and 2,000-plus buildings destroyed. It lasted for nearly five days and by the end, Governor George Romney had called in the National Guard and President Lyndon B. Johnson sent in two airborne divisions to end the rioting. 50 years later, this August, Kathryn Bigelow’s film about the riots will hit theaters. 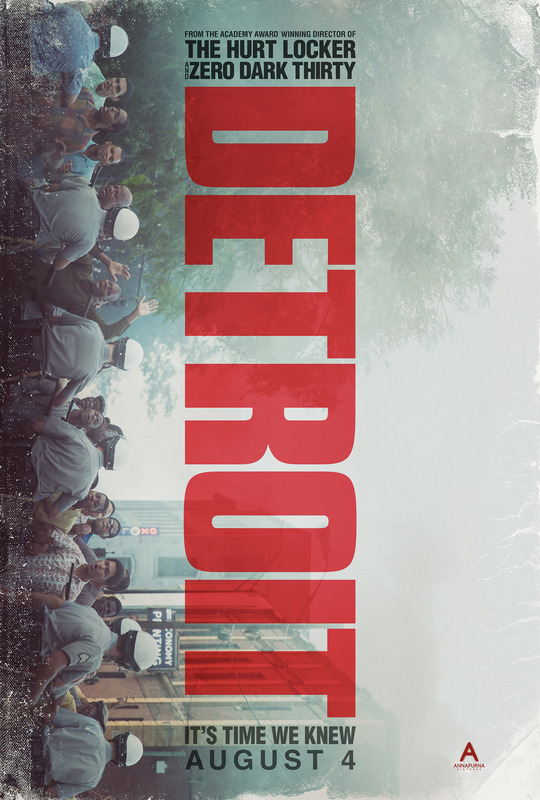 Detroit is Bigelow’s follow-up to 2012’s Zero Dark Thirty and 2009’s The Hurt Locker, and will track the growth of the riots from the initial police raid to the active shooting and fire starting. To capture the white-knuckle intensity of such a dramatic event, Bigelow has cast John Boyega in a lead role as a police officer along with Jack Reynor, Will Poulter, John Krasinski and Anthony Mackie. Detroit was scripted by Bigelow’s Zero Dark Thirty collaborator Mark Boal. Even in just a two-minute trailer, the raw-nerve energy from the performers and Bigelow’s slow-burn can be felt, and is almost suffocating to watch. So just wait for what happens when this behemoth is finally released in theaters on Aug. 4. Watch the trailer above, and check out the film’s striking poster below.